Electrodes can be found in our extensive online collection of products from globally recognized and trusted brands, including Teleflex Medical. 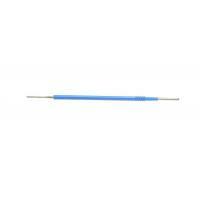 An excellent option to consider is the Blade electrode, 3/4\" (19 mm) blade, 6\" (15 cm) extended length- Sterile. 9.5" x 3.75" x 3"